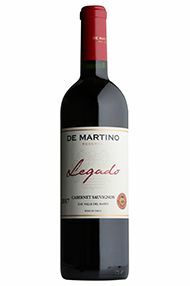 The Wine Advocate - Sourced from vines planted in Isla de Maipo between 1992 and 1998, the 2017 Legado Cabernet Sauvignon is from a warm vintage when they harvested early to keep the wine at 13.1% alcohol. It fermented in stainless steel with indigenous yeasts after a cold soak and matured in used barriques for 13 months. It has balsamic aromas of camphor, blackberries and cassis, quite classical and old-style, with the textbook tannins from the variety. This is quite in line with the 2015, both dry and warm years. 46,965 bottles were filled in July 2018. 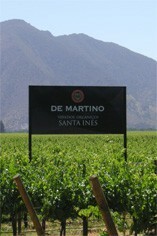 De Martino is one of the most progressive and exciting names on the Chilean wine scene, deservedly named Chilean Winery of the year in 2011. Through a network of intellectual partnerships and vineyard acquisition, it has quickly built up a reputation for organic viticulture of the highest quality, farming from over 350 different vineyards. 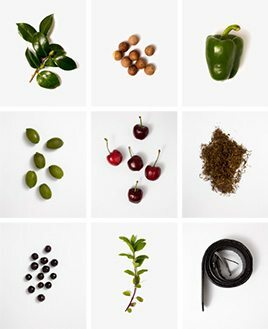 The corporate vision focuses on sustainability, terroir, and, by logical extension, excellence. By concentrating on the very best sites for the varieties in question, be they in Limari, Elqui or Maipo, and by the development of a world class winemaking team, De Martino now sits at the very top of the Chilean vinous hierarchy. The Alto Piedras vineyards make up 5 hectares of the sub-Denominacion of the Isla de Maipo, a de facto island as the vines are surrounded by two branches of the Maipo River. Two other self-evident truths are located in the nomenclature; firstly that the terrain is rocky, volcanic gravel to be precise and secondly that the vines are quite high up. Chile’s indigenous grape, Carmenère, is here aged for 18 months in new French oak. The most famous red wine grape in the world and one of the most widely planted. It is adaptable to a wide range of soils, although it performs particularly well on well-drained, low-fertile soils. It has small, dusty, black-blue berries with thick skins that produce deeply coloured, full-bodied wines with notable tannins. Its spiritual home is the Médoc and Graves regions of Bordeaux where it thrives on the well-drained gravel-rich soils producing tannic wines with piercing blackcurrant fruits that develop complex cedarwood and cigar box nuances when fully mature. The grape is widely planted in California where Cabernet Sauvignon based wines are distinguished by their rich mixture of cassis, mint, eucalyptus and vanilla oak. It is planted across Australia and with particular success in Coonawarra where it is suited to the famed Terra Rossa soil. In Italy barrique aged Cabernet Sauvignon is a key component in Super Tuscans such as Tignanello and Sassicaia, either on its own or as part of a blend with Sangiovese. Maipo Valley, the northernmost within Central Valley, is one of Chile's most prominent wine regions. It is located east of San Antonio and Casablanca Valley and north of Rapel Valley, and is nestled between two mountain ranges, the Andes and the Coastal Mountains, with Chile's capital city, Santiago, sitting in the middle. Maipo is renown for its exceptional Cabernet Sauvignon, ripe, subtle, spicy and complex with its signature, powerful eucalyptus and blackcurrant flavours. It amounts for over 60% of the regions 10,000ha. Merlot, Chardonnay and Carmenere are also important.